Josiah Neufeld writes for the Globe and Mail, Hazlitt, and The New Quarterly. In rural Manitoba, an issue that’s been underground for fifty years is coming to the surface. 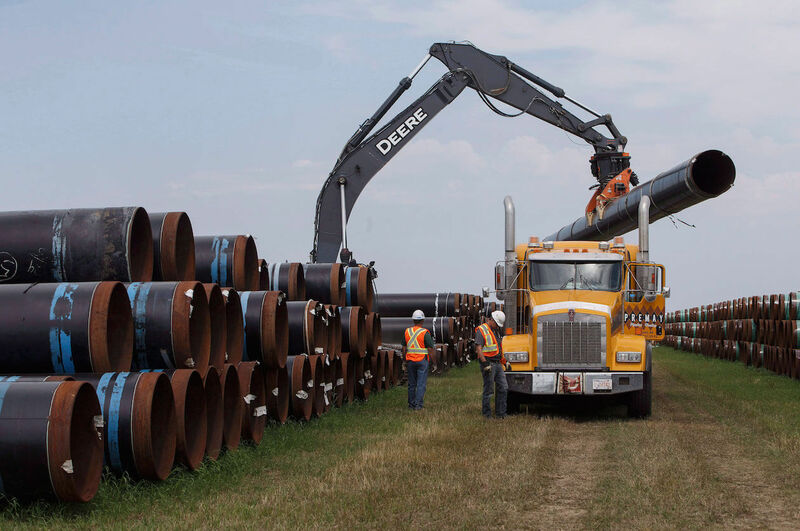 Calgary-based Enbridge Inc. has embarked on a $9 billion project to replace nearly all of Line 3, a deteriorating 1,765-kilometre pipeline that carries crude oil from the Alberta oil sands across the prairies to a terminal in Superior, Wisconsin. In 2017, Enbridge began laying new pipeline alongside the old, which is to be drained and sealed off. The weakening, fifty-year-old pipeline has been operating at just over half its original capacity of 760,000 barrels per day since 2010, and critics stress that the replacement will nearly double the amount of crude flowing through Line 3 to US refineries. In Canada and the United States, pipelines have become arenas for conflict, pitting environmental groups and Indigenous peoples against the oil-and-gas industry, with politicians caught in the middle. Like Thermopylae—the rocky coastal pass where Greek forces held off ten times the number of invading Persians—a pipeline offers a strategic bottleneck where relatively small groups can do battle with powerful energy corporations to impede the extraction of fossil fuels. Their strategies can be effective. In November 2016, Prime Minister Justin Trudeau approved two pipelines in the same breath: Line 3’s replacement and an expansion of Kinder Morgan’s Trans Mountain line between Edmonton and the BC coast. By this spring, the latter had turned into a national showdown, with Justin Trudeau and Alberta premier Rachel Notley on one side threatening economic sanctions and legislative force in support of Trans Mountain, and First Nations, environmental groups, and the governments of BC and Vancouver on the other vowing to fight the pipeline on land and in the courts. In early March, thousands protested on Burnaby Mountain; more than 150 people were arrested for acts of civil disobedience. Meanwhile, Line 3 has snaked its way unimpeded across the prairies. When it is complete—possibly as soon as next year—the pipeline will have four-fifths of the after-upgrade capacity of Trans Mountain and traverse 500 more kilometres of wetlands and vulnerable ecosystems, but it hasn’t become a political lightning rod. The familiar battle lines have not formed in Manitoba. The Prairie provinces don’t share BC’s culture of environmental activism; all three have governments that support oil-and-gas development. While protesters in Burnaby were organizing for a week of rallies and blockades, farmers in Morden were sipping coffee in a church and lobbing questions at the environmentalists who had come to try to persuade them that this pipeline upgrade was a bad idea. As the latecomers find their seats in the gymnasium, Laura Cameron, a soft-spoken master’s student in Indigenous governance at the University of Winnipeg, sets the stakes: “Our reliance on fossil fuels is putting us on a track which is increasingly risky,” she says. “We can’t keep going in this way, because our children and their children won’t have a habitable climate, they really won’t.” The gathering is the second of two town hall meetings organized by a Winnipeg-based environmental group, Manitoba Energy Justice Coalition. To prepare for the meetings, organizers visited several communities along Line 3 and talked to church leaders, organic farmers, and others who might be sympathetic to their cause. The previous night’s meeting drew about thirty-five people to a community centre in Gretna, a hamlet landmarked by the white cylindrical tanks of an Enbridge pumping station. For decades, Enbridge has been pumping oil under these country roads and crops. It’s a reality that few people in the rest of Canada notice and even fewer think they have reason to fear. After Cameron finishes, Gerry Demare, a member of the Manitoba Pipeline Landowners Association and a farmer who already has pipelines under his fields, speaks up to downplay the efficacy of “civil disobedience,” though there has been no real talk of it up to this point. Another man, with close-cropped white hair and blue jeans, stands up to add that a shortage of pipelines means more oil travelling by train and thus less rail space for farmers to ship their grain. “Oil is obviously going to be transported, because we as a culture continue to use it pretty heavily,” volunteers another man. “Wind doesn’t move my car very well,” adds someone else. In this part of the world, oil pipelines are largely seen as a public good that transports a resource everyone needs. Cameron looks harried, but she answers her interrogators calmly, always steering back toward the necessity of transitioning away from fossil fuels. David Scott, a treaty and Aboriginal historian and a member of nearby Swan Lake First Nation, speaks next. He explains that after Enbridge inked a deal with Swan Lake’s chief and council to allow the Line 3 expansion to go through, his community learned of a decades-old oil spill adjacent to the reserve. The lack of disclosure angered Scott, who says he doesn’t trust Enbridge. Indigenous people have been at the forefront of successful pipeline challenges in Canada, but many Indigenous leaders on the Prairies have their hands full with immediate issues, including on-reserve poverty and a broken child-welfare system, and aren’t in positions to refuse offers of cash, jobs, or sponsored community centres. Enbridge secured fifty-three agreements with Indigenous communities along and near Line 3, offering training, employment, and other benefits. Scott is resigned to Line 3 going ahead, but he still calls for greater scrutiny. Some Manitoba leaders did speak in opposition. In 2016, Derek Nepinak, former grand chief of the Assembly of Manitoba Chiefs, initiated a court challenge to Line 3 arguing Enbridge failed to consult Manitoba First Nations in a meaningful way. But Nepinak was a lone voice, and the AMC dropped the case last year, a few months after he left office. As the pastor in Morden takes the microphone to close the evening, Crystal Greene, an Indigenous environmental advocate based in Winnipeg who spent several months at the Standing Rock protests in North Dakota, rises at the back of the room, strides to the front, and seizes the microphone. “I know you guys don’t see people who look like me, and you guys probably have all kinds of stereotypes running through your head,” she says. “But I want to let you know that I just came back from Minnesota, where people are standing up to Enbridge Line 3 and they are willing to put their lives on the line.” Some in attendance rise to leave. Others fold their arms and glance uncomfortably over their shoulders. After the meeting in Morden, Greene took to Facebook to scold local Indigenous leaders for signing agreements with Enbridge, writing: “To the corporate sellouts, you cannot speak with a forked tongue about being a steward of the earth and at the same time sell-out to Enbridge.” The Manitoba Métis Federation signed a multi-million-dollar agreement with Enbridge ensuring employment and skills training for Métis workers on Line 3, according to APTN. “We support pipelines as an economic strategy on a sustainable basis,” MMF leader David Chartrand told the news outlet last fall. “It’s up to the grassroots people now,” Greene concluded her post. But so far only two Winnipeg-based grassroots groups are actively campaigning against Line 3: the Manitoba Energy Justice Coalition and the Student Pipeline Action Committee. When the federal government approved Trans Mountain and Line 3, it also cancelled Enbridge’s Northern Gateway Pipelines project, which would have carried oil to a shipping port in Kitimat, BC. The decision came after years of public rallies and court challenges from a coalition of First Nations in BC. After fighting for the right to control their waterways for decades, coastal First Nations were weighing the potential benefits to their economies against the potential catastrophic consequences of an oil spill. Their waterways, rainforests, and fisheries were at stake. Similar issues are propelling the current battle against Trans Mountain. But Line 3 isn’t perceived to threaten communities as directly. 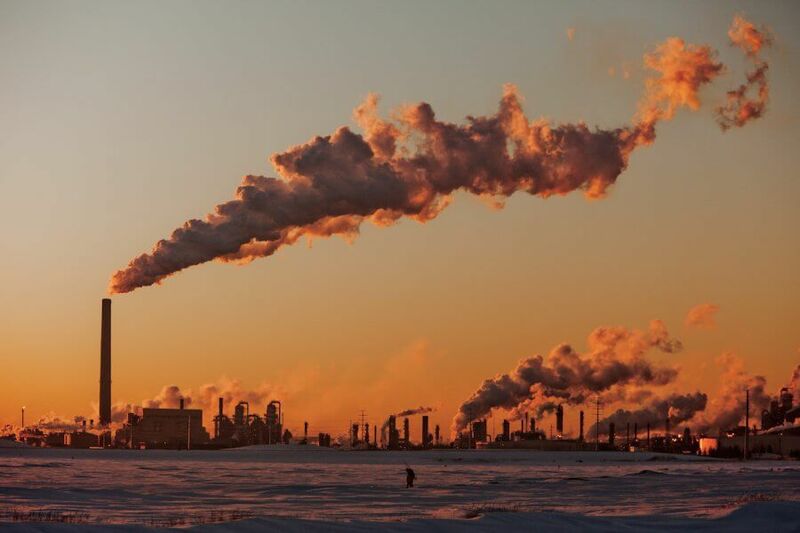 Municipalities in southern Manitoba are awaiting the influx of business from pipeline workers, while activists are trying to signal how Line 3 would contribute to climate change. The unsurprising irony is that it’s harder to rally people around a risk that threatens all of humanity than one that could endanger their own backyard. To win over the crowd in Morden and elsewhere along Line 3, activists will need a different template from the Thermopylae model that’s fuelling activism on the coast. Here, a movement with enough strength to halt a pipeline would require a broad coalition of forces and a local narrative that could cut across ideological divides and speak to people’s immediate concerns. A few years ago, one such story worked. Shoal Lake 40 First Nation, 140 kilometres east of Winnipeg, had been confined to an island and, for more than two decades, had been under a boil-water advisory. The community succeeded in rallying Winnipeggers of all stripes around this historic injustice. Activists and churchgoers signed petitions and protested on the legislature steps until three levels of government committed to building a road and a bridge. It was a grassroots campaign led by savvy activists with few resources beyond creativity and chutzpah. But it took years. The activists in southern Manitoba don’t have that kind of time. While Canada roils with pipeline controversy, Line 3 is merely making ripples in a few emphatically raised coffee mugs. Meanwhile, shiny new pipes are stacked and waiting between Winkler and Morden. By the end of the summer, Canada’s forgotten pipeline may be out of sight and out of mind.